I have put another painting on THE STORY EMPORIUM wall, this one is of The Dusty Butterfly who plays quite a large role in “A Trashy Novel” – my latest book that is in the editing stage… hooray! While writing this novel I thought I would never see the end of it but finally after years of thinking and percolating ideas then 2 years of putting it together I finally have the evidence of a finished piece of work. When I wrote and illustrated my three picture books the same process took place where I felt hopeless and couldn’t finish. I have to say the novel was the worst of all four books when it came to the ominous feeling of complete and utter doom that I would never reach the end. The great part is the more I wrote it and got to know each character and how they all related to each other the plots twisted into each other naturally and a real world full of fantasy blossomed and came to life. What a feeling of accomplishment! All I have to say at this point in the process is I truly hope you come to love and enjoy the characters I created and get lost in the world I created for them. If you do then I can happily say, I’ve done my job. Thank you everyone who follows my work and especially those who pass the word on about it to their friends. It’s through you that my work becomes known and enjoyed by others and to be quite honest is what makes the many hours of creating worth it. 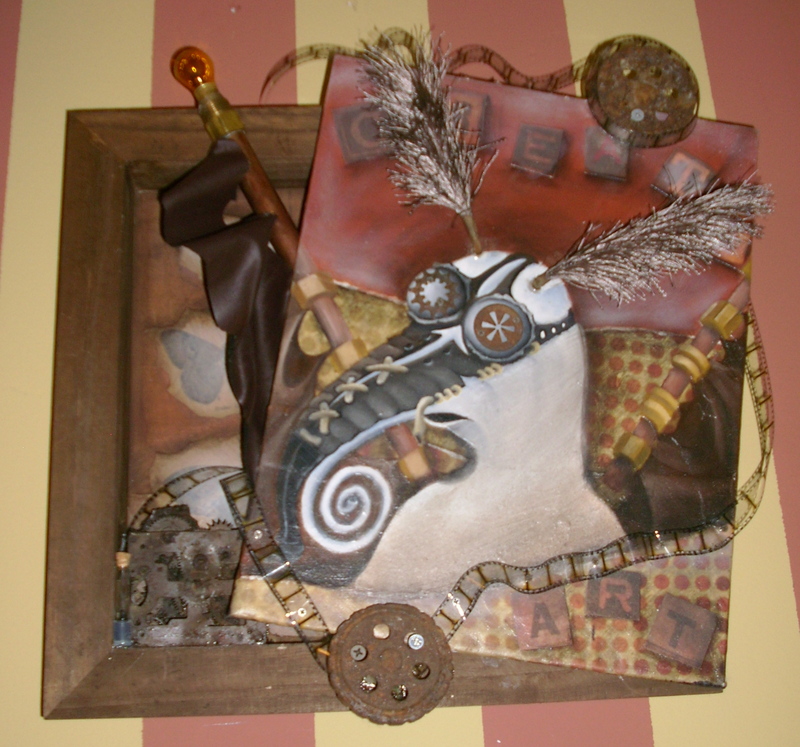 Please feel free to visit my studio any Saturday at http://www.thestoryemporium.org and see what my latest creations are. Until next time…. keep creating!